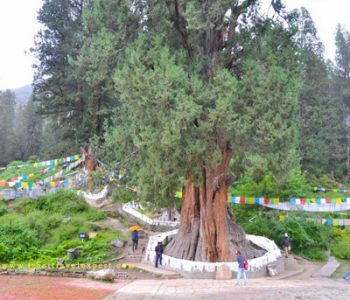 The Huge Cypress Nature Reserve in Pagqi Township, Nyingchi area, has hundred huge cypress trees of more than 1,000 years old. Some of them are about 46 meters tall and 2,000 to 2,500 years old by inference. 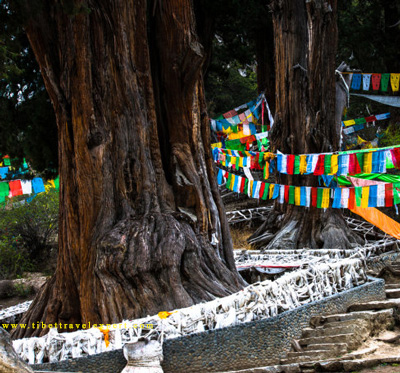 These huge cypresses are peculiar to Tibet, which is also called the Yarlungzangbo cypresses. 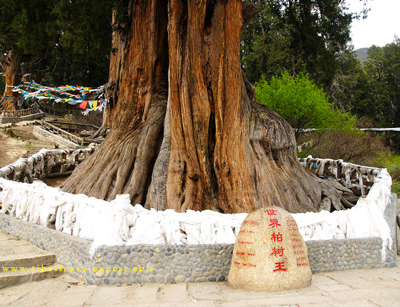 Local people regard the huge cypress as the sacred tree. The largest cypress has the height of 52m and trunk diameter of 5.8m. It is said it is over 2,600 years old and it is named as King of the World’s Cypress. 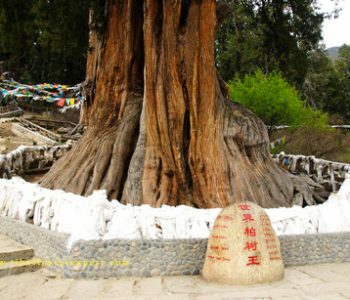 Believers think it is the life tree of Sinraomiqiho, the founder of the Bon Religion. 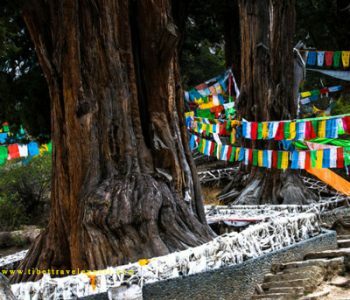 Therefore, the Huge Cypress Nature Reserve has been a holyland of the local Tibetan for centuries. 1.The Admission Fee is 10 RMB.